One-of-a-kind Art Case Steinway King Louis XV Model M Legs (VIDEO)Hand Painted Gold, Belonged to Sid Caesar $59,500. 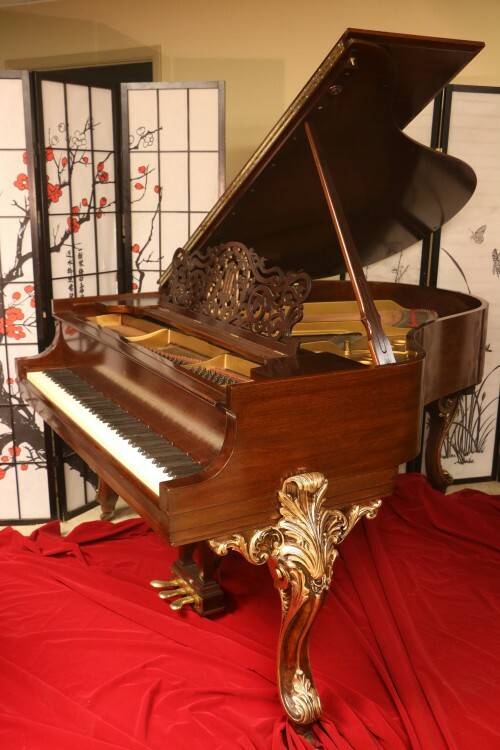 This entry was posted in Uncategorized and tagged Art Case, Art Case Piano, Art Case Piano for sale, Art Case Steinway, art case steinway for sale, art case steinway model b, long island piano, Long Island Used Piano, longisland, Model B Steinway, nyc nj ct steinway for sale, pre owned steinway for sale, Pre-Owned Grand Piano For Sale, Sonny's Piano, Sonny's Piano TV, sonnys piano warehouse, sonnyspianos, SonnysPianoTV, Steinway, Steinway Piano For Sale, Used Piano For Sale, Used Steinway. Bookmark the permalink.